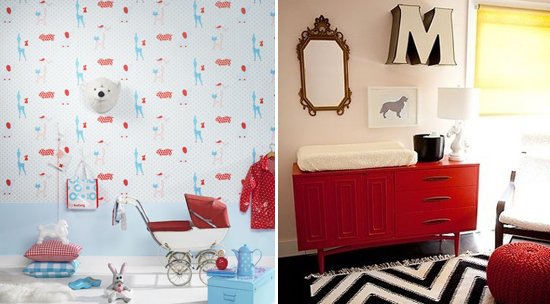 Red is a fabulous color theme for a nursery. It’s one of the first/easiest colors for a baby to see and it pairs so well with so many other colors: aqua, yellow, pink, orange, white, grey etc. 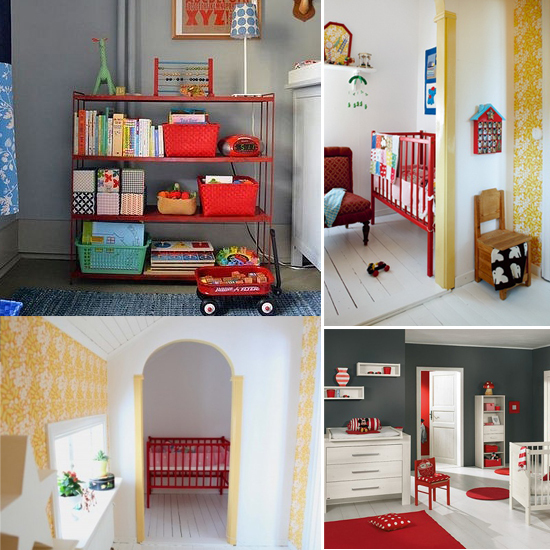 Here’s some red nursery inspiration from my pinterest board “Nursery Inspiration”. 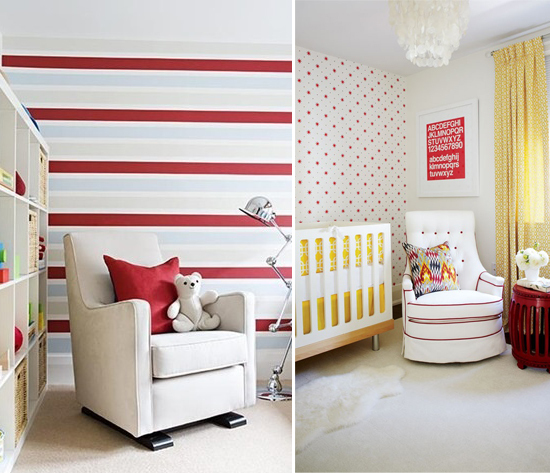 Please visit my pinterest board Nursery Inspiration for all image sources here. A red cot is my favourite, it really makes a statement like a great pair of red heels. Dorothy understood that!